British Gas has today revealed that at the end of February it will be cutting the price of energy, but this is too little, too late, because a new EU study has revealed that for far too long, energy bills in the UK have been going through the roof, while elsewhere in the EU they have been falling. And in the cold snap, this could be fatal. The study, outlined by the Express, found that over the past three years, we have seen energy prices rise 13% in the UK, while in Europe there has been an average drop of 0.5%. At the moment, wholesale gas prices are down 7% over the past 12 months, and are at their lowest for four years. However, British customers are yet to see the benefit. This is particularly alarming with the onset of the big freeze. Caroline Abrahams, Charity Director at Age UK, said: "It's a shocking fact that this winter, one older person could die every seven minutes from the cold. Yet with just under one million older people living in fuel poverty, many simply cannot afford to heat their homes to a temperature high enough to keep warm and well." She called for older people to take sensible steps in order to stay warm - from extra layers to stopping draughts. She added: "We are calling for the government to commit to improving the energy efficiency of homes across the country in order to provide a long-lasting solution to the scandal of fuel poverty and preventable winter deaths." The immediate solution, however, lies in affordable heating bills. The energy providers are slowly starting to move on this. We saw E ON announce a 3% cut to prices on Friday, and British Gas said it would be reducing its standard tariff by 5% at the end of February. The experts say the pressure is on for the rest of the Big Six to follow suit. However, we're still not seeing price cuts in line with the drops in the wholesale price of gas - and they are still up substantially on the cost three years ago. 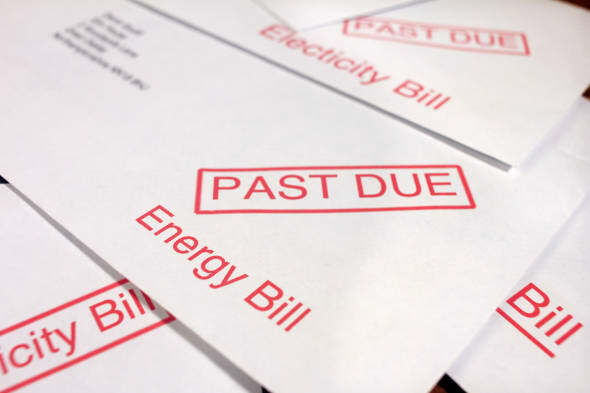 Gillian Guy, chief executive of Citizens Advice, said: "All energy firms must now cut household bills for their customers. The savings being offered remain disappointingly low but if E.ON and British Gas can cut prices other firms must now do the same. Energy bills have risen by a third since 2010 yet figures show wholesale costs are at a four-year low. If energy companies can reduce gas bills, they must also be able to pass on wholesale savings by cutting electricity costs." While a modest price cut will hopefully be forthcoming for millions of people, the experts say that this doesn't mean we should stick with our provider USwitch points out that the most competitive fixed deal is over £250 a year cheaper than the average big six direct debit standard tariff. So it's essential to compare prices and hunt down the cheapest deal for you. Stephen Murray from MoneySuperMarket adds: "Don't rest on your laurels waiting for a price cut from your energy supplier – do it yourself for an even bigger saving. An average monthly direct debit customer can benefit from savings of up to £255 by switching to Extra Energy's Fresh Fixed Price Jan 2016 v8."